Wild: Purlovia Maxima perfectly embodies the element of surprise. Though Nanictidopids such as Purlovia were once thought to be herbivores, I discovered that this creature is, in fact, a patient hunter of the most clever sort. Domesticated: Though Purlovia is ill-suited to the life of a mount, its usefulness in staging an ambush or as a village guardian cannot be understated. With a tamed pack of Purlovia, one could assemble a literal minefield of deadly claws and teeth. 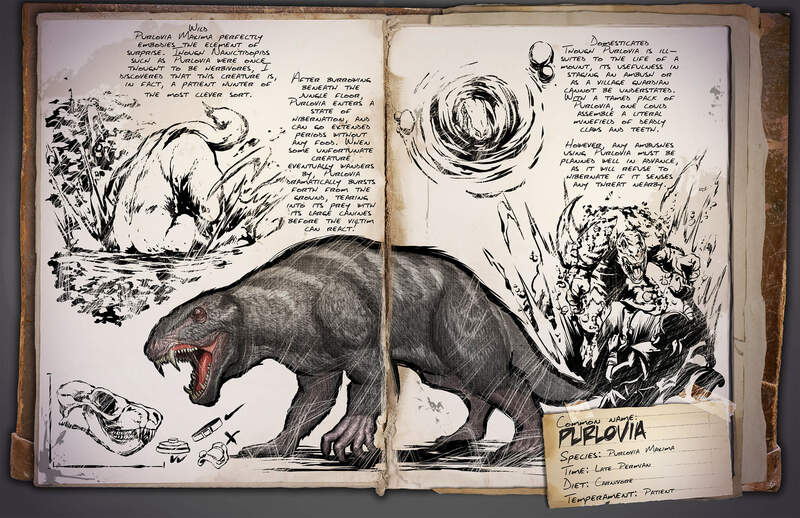 However, any ambushes using Purlovia must be planned well in advance, as it will refuse to hibernate if it senses any threat nearby. Previous Post: Devkit Preview: Basilosaurus, Ammonite, Megalania and more!